Smoothtel provides the most up-to-date in Audio Visual Communications and Integrated Systems including Boardroom, Conference Room, and Training presentation solutions. We work with the highly respected manufacturers in the industry providing top quality products and systems for media presentation solutions. 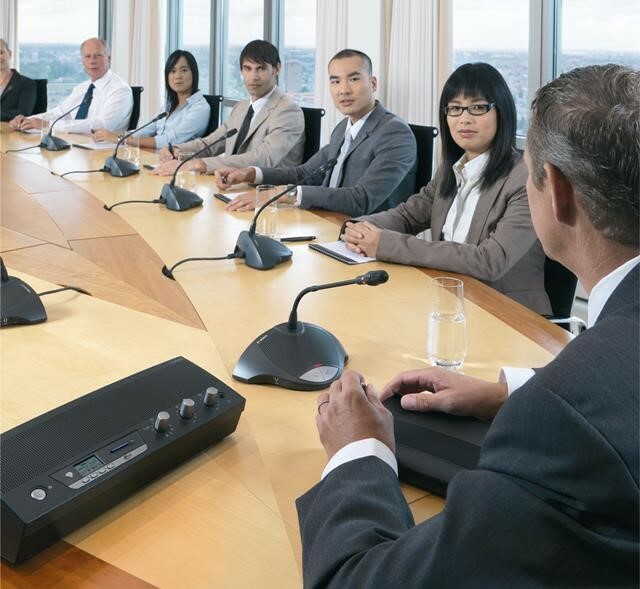 From high-resolution LCD to DLP ceiling-mounted projector to table-flush microphones for audio conferencing, we work closely with you from concept to completion to meet your most challenging requirements. We have Integrate with our partners Bosch Systems that gets you interacting and communicating effectively, and in a way that suits everyone. Whether informal meetings or large multi-lingual conferences we got you covered!